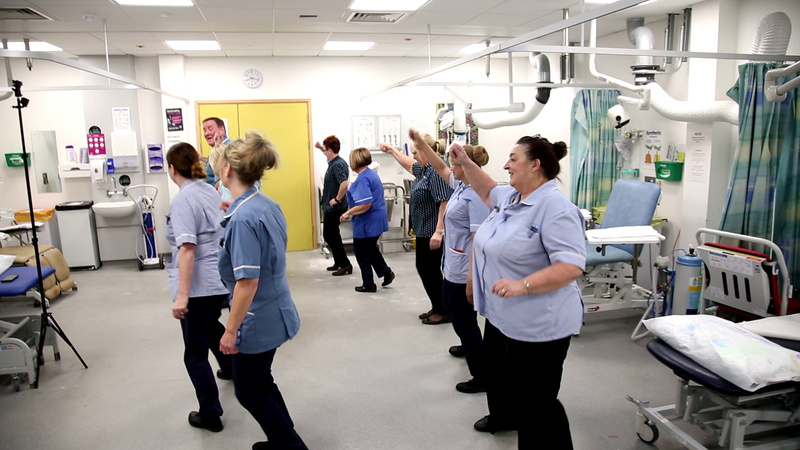 Video grab of the orthopaedic outpatient team at Gloucestershire Royal Hospital taking part in their unusual morning routine - a five minute dancing routine to get ready for work. 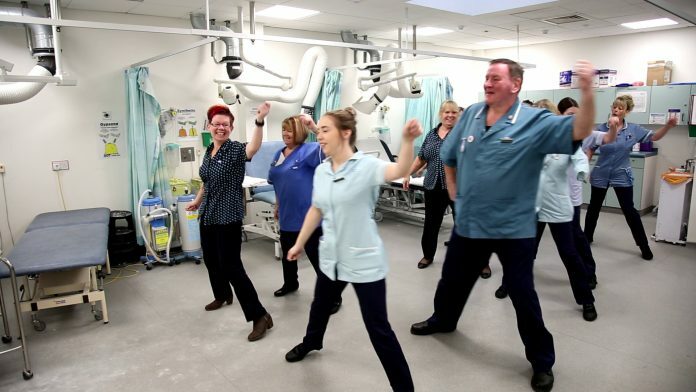 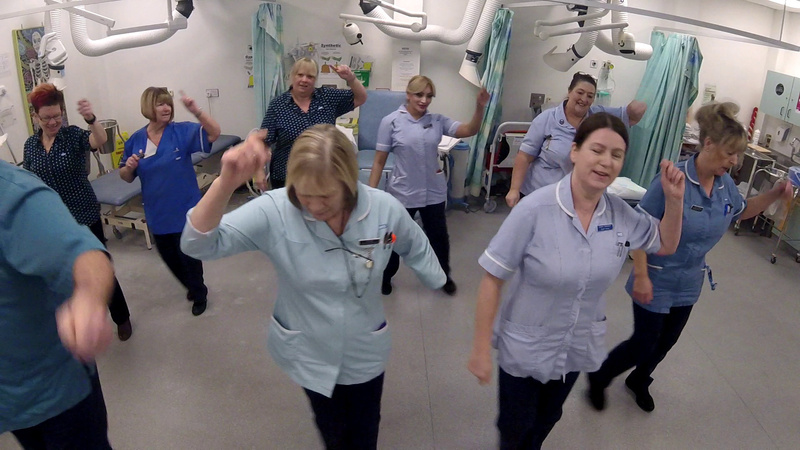 Video grab of the orthopaedic outpatient team at Gloucestershire Royal Hospital taking part in their unusual morning routine – a five minute dancing routine to get ready for work. 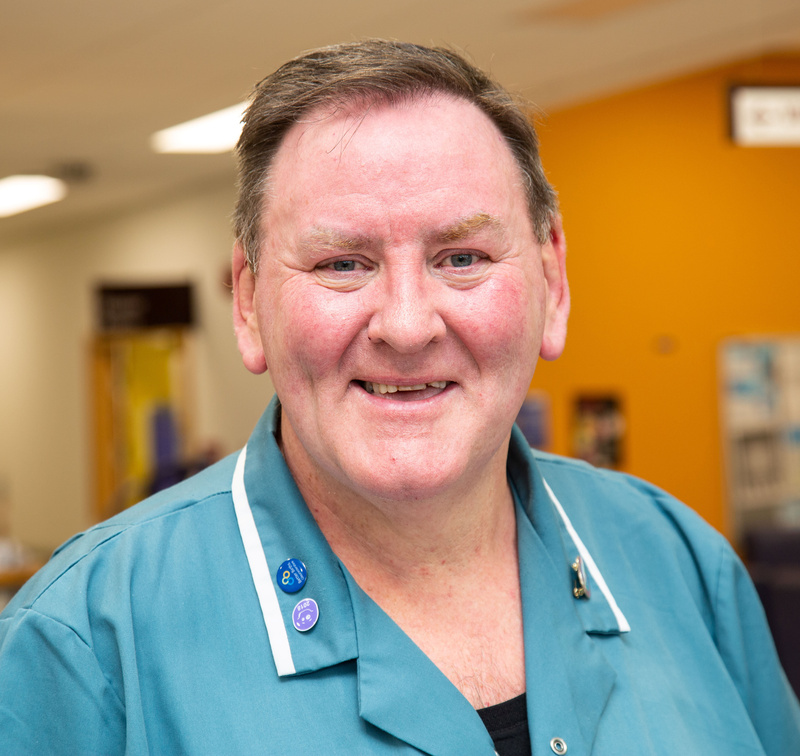 Orthopedic practitioner Andy Stewart, 58, who organises the dances for the orthopedic outpatient team at Gloucestershire Royal Hospital, Gloucester. 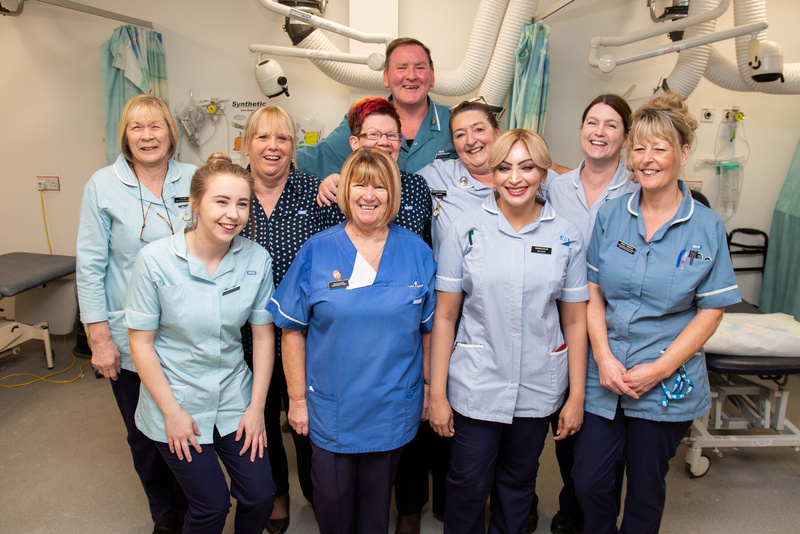 The orthopedic outpatient team at Gloucestershire Royal Hospital, Gloucester.